Police in Los Altos are warning residents to be on the lookout for a driveway repair scam that has recently been making the rounds of the Bay Area. The scammers will often target elderly residents, offering to repair or seal-coat driveways, police said. They will give victims a verbal estimate without providing a written estimate or a written contract. The scammers will use few tools and low-grade materials to complete or partially complete a sub-par job, police said. They then demand a cash-only payment that may be significantly larger than the original verbal estimate, police said. The loss in such scams can amount to thousands of dollars, according to police. -- Selling door-to-door: Reputable and licensed contractors will rarely solicit work by walking door-to-door. Always ask for a contractor license number and for references even if they sound and look professional (construction vests/clothing). -- Leftover materials: Professional and licensed contractors will know, with great accuracy, how much paving material is needed to complete a project. Rarely will they have leftover materials. -- Pressured to make a quick decision: Reputable and licensed contractors will provide a written estimate that will be valid for weeks or months. If the great deal they are offering today is not available tomorrow or next week it may be a scam. -- No contract offered: Insist upon a written contract specifying in detail, the work to be performed and the agreed upon price. -- Cash-only sales: Most reputable and licensed contractors will accept checks or credit cards and will not require cash-only payments. -- Too good to be true deals: If the estimated price seems very low, chances are the quality of the work will also be quite low and you will typically be up-charged upon completion of the job. -- Unmarked truck: The trucks utilized by the subjects will often me unmarked or they will have an out of town address, phone number and/or license plate. A little research will reveal that they have no permanent address (typically will use an address associated to UPS store type business) and the phone number is regularly changed. 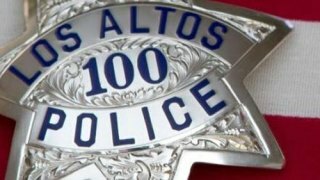 Anyone encountering a situation believed to be a scam - or anyone who has fallen victim to a scam -- is asked to call the Los Altos Police Department at (650) 947-2770 and report the situation.